It seems that almost every village in Tuscany and Umbria has a festa of some sort each summer. If the festa is food related it is referred to as a “sagra” and Lisciano Niccone holds a festa in honour of a local pasta called bringoli. 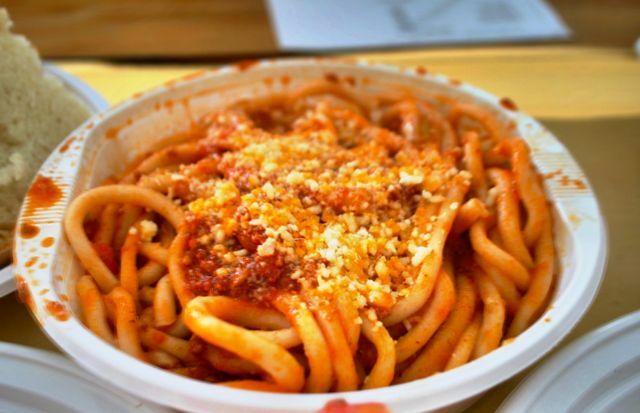 A hand made thick spaghetti, bringoli is very tasty and served at the festa with a choice of several sorts of sauce. I chose a ragu (meat and tomato), but truffle, venison and seafood were all available. The dining area is on benches under a large semi circular tent and afterwards there is entertainment in the form of live music and dancing. 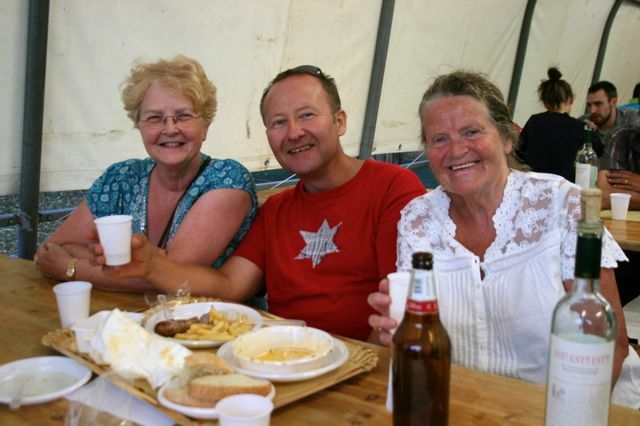 The Sagra dei Bringoli takes place over two weekends in the middle of July each year.